The flattest and lowest lying country on earth, the Maldives are what island holidays are all about, what with its picturesque beaches, magnificent turquoise water, and plethora of accommodation options. In fact, all Maldives holidays are definitely a dream come true, and as author Adrian Neville states, “It’s hard to have a bad holiday in the Maldives.” This quote is 100 percent true thanks to its pristine white sand, swaying coconut trees, and fantastic year-round climate. People take holidays to the Maldives to truly get away from it all, dip their feet into the sea, relax on picture-perfect beaches and swim with marine life. Holidays in the Maldives will appeal to anyone’s senses, and will make any visitor itch to come back for more. There is no doubt about it, the Maldives is a destination for a dream vacation, which is exactly why Travel + Leisure voted it as one of the top 10 Islands in Asia. To make sure that you get everything you want on your Maldives holiday, here are top tips for your dream vacation to the Maldives. The Maldives are made up of a whopping 1,192 islands that are grouped up into 26 ring-shaped atolls. They are spread over around 35,000 square miles of the Indian Ocean, with India to the North, Indonesia to the east, and Africa to the west. It is the smallest country in Asia, yet it is one of the most geographically dispersed countries on the planet. Only 200 of the islands in the Maldives are inhabited, with another 80 islands being home to Maldives resorts. One of the first things to decide about your Maldives holiday is what island to stay on for your dream vacation. There are only 10 atolls that are actually open to tourism, which narrows it down a little bit. These are the most popular. Most visitors arrive in this atoll, as it is home to the Maldives main airport – Velana International Airport. It is also the gateway to the rest of the islands, and also happens to be a great atoll to stay in for your dream vacation in the Maldives. This is the most heavily developed atoll in the Maldives, with nearly all accommodation options being located on private islands. If you want to be completely pampered and surrounded by the lapse of luxury, then these islands are a great fit. Islands here are home to known resort chains like Anantara Dhigu Maldives, Club Med, and the Sheraton Maldives Full Moon Resort & Spa. 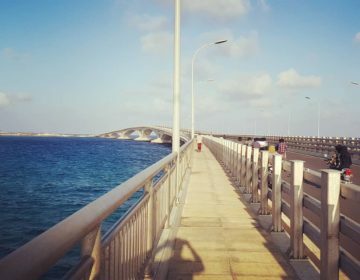 If budget is a concern, then there is also the option to stay in the capital city of Male where there is a wide range of hotels to choose from. Everything from cheap guesthouses to lavish hotels can be found scattered around the city, giving visitors the opportunity to explore the city and mingle with the locals while they go about their everyday day life. Also known as Alufu Atoll, Ari Atoll is the second most popular group of islands in the Maldives, with over 20 islands being designated for tourism. It is one of the largest atolls in the Maldives, as well as being the western most group of islands in the archipelago. The islands are accessible from the Malé Atoll by seaplane, taking around 30-minutes. Resorts on these islands are completely self-contained and offer plenty of activities. Still, Scuba diving is the most popular thing to do in the Ari Atoll, with whale sharks being year-round residents of the atoll. There is also some fabulous snorkeling just a few meters off of the islands’ beaches, which is another reason to think about staying in this atoll. The beaches here are magnificent, with many resorts having villas lined along it, or even on stilts above the water. These islands are where you will find the Conrad Maldives, LUX* South Ari Atoll, W Maldives, and Centara Grand Island Resort & Spa. If you wish to stay in the Ari Atoll on a budget, then Thoddoo is the island to head to. This island is home to a stunning beach, numerous watermelon farms, and important Buddhist ruins. 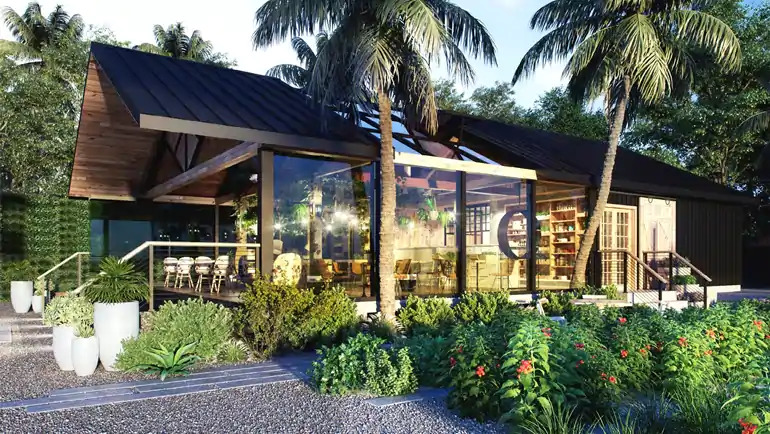 There are guesthouses that cater to those on holiday in the Maldives on a tighter budget, as well as amenities to cater to them, like small markets and shops. The southernmost islands in the archipelago are home to the Gan International Airport, which has direct flights from Male, Columbo (Sri Lanka), and a few other Maldives islands. Addu Atoll is where you will find Addu City, which is the second largest city in the country. There are six districts in the Addu City, all of which are small islands of their own. Hithadhoo is the main administrative center, though it does not offer much to tourists. Instead, most visitors head to Maradhoo, which has only been open to visitors since 2008. The only resort island in this atoll is Villingili, which is the location of the Shangri-La Villingili Resort and Spa. This phenomenal resort features private villas that are raised above the turquoise shoreline, or set atop the green jungle within the island’s interior. The award-winning resort is the atoll’s best, though it comes at a price. This is one of the smallest atolls in the Maldives, and an attractive place if you want to really get away from it all. 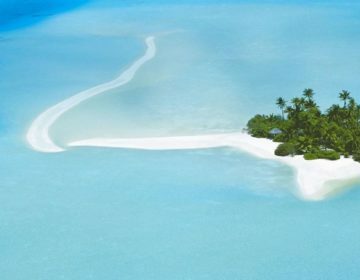 These islands are scarcely developed and far less traveled than most of the other islands of the Maldives. Kuramathi is the main tourist island, with Maldivian company Universal Enterprises Limited having a resort that takes up the entire island. And what an island it is! All accommodations are private villas, some of which boast a private pool. There are also numerous dining facilities, activities to enjoy, and a stretch of beach that is straight out of a magazine. It is also possible to stay in the Ross Atoll on a budget, with Rasdhoo Island having 16 guesthouses to choose from. Plus, the island has five offshore diving points, a coral reef that is ready to be discovered by snorkelers, and a tourist beach. There are grocery stores, gift shops, cafés, and ATMs, as well as a small police station and a post office. Most of the natural beauty in the Maldives is in the water itself, with the Maldives being one of the top diving destinations in the world. In fact, both SportDiver and ScubaTravel listed it as one of the top 50 dive destinations in the world. 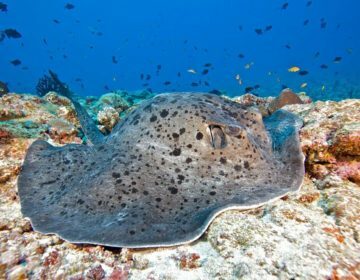 The Baa Atoll is by far the best place to go diving in the Maldives, where you will get the opportunity to see manta rays, whale sharks, Hawksbill turtles, and Guitar shark. Snorkeling is also a must while on holiday in the Maldives, with every holiday island offering it straight from its beaches. Still, the best atolls for snorkeling are Baa Atoll, Malé Atoll, Ari Atoll, and Faafu Atoll. The blue ocean and white beaches are the biggest factor in the Maldives natural beauty, and the main draw for almost every tourist that decides to have a dream vacation in the Maldives. Swimming, fishing, water skiing, kite boarding, and windsurfing allow you to enjoy the natural beauty of the archipelago. Surfing is also extremely popular, with the Maldives fast becoming a great alternative to Indonesia as a top place to surf in Asia, not only because it is beautiful, but also because it is far less crowded. It gets the same swells as Indonesia, though the surfing here is much less intense. With over 1,000 islands, the chance to go on excursions in the Maldives is huge. This is highly recommended, and a great way to enhance your dream vacation. 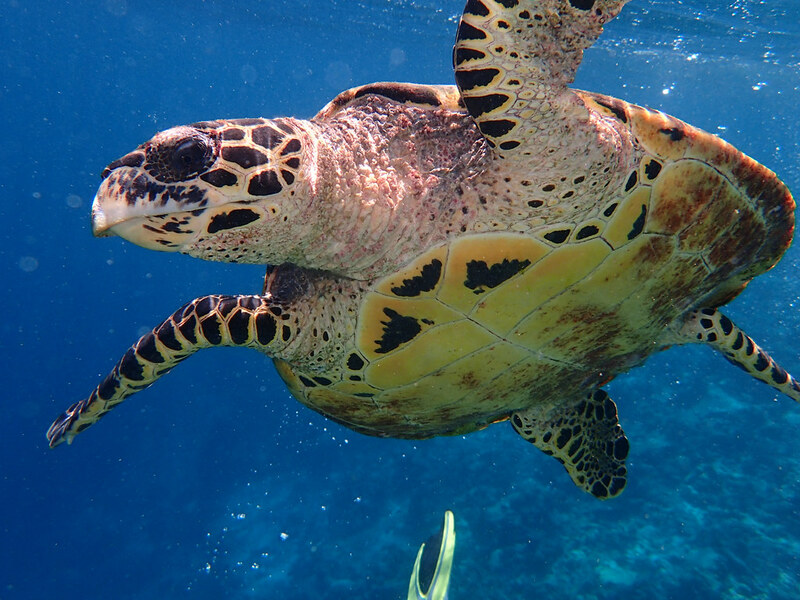 An island hopping tour is a fantastic way to get out and see more of the Maldives. These tours are done by speedboat or by traditional Maldivian wooden boat, visiting nearby islands with a guide. Island hoping tours always include lunch, and can be done in a group or intimately as a couple. They often include time at different beaches where you can go snorkeling or take in the sun, and also include a tour of local island villages. This is often done at sunset, as this is when dolphins like to come out and play. Like people, dolphins love the sunset, and love diving in and out of the water while the sun is setting in the distance. Also keep your eyes open for mantas, whale sharks, and flying fish, all of which often make an appearance at sunset. On these cruises you will also pass other islands and have the change to take some spectacular photographs. If you are not a diver but want to experience the Maldives’ magnificent marine life, then a submarine tour is a great way to do this. These tours can last anywhere from 45 minutes to 90 minutes, taking you to see the underwater life that swims around the archipelago. The submarine descends to around 100 feet below the ocean’s surface, so you can experience all of the marine life you would if you were a diver. And you don’t even have to get your feet wet. The Maldives are hot and sunny all year, though, like all dream holiday destination, there is a perfect time to go. According to Conde Naste Traveller, the best time to visit the Maldives is from November to April. These are the driest months of the year, as well as the sunniest in terms of sunshine per day. The high season for Maldives holidays is between December and March, which coincides with the winter season in North America and Europe. It is also the most expensive time of the year to go on holidays to the Maldives. If you want to enjoy a cheap Maldives holiday, consider visiting between May and November. These are the wettest months, but they are also the cheapest months to go on holidays to the Maldives. This is especially true from August to November, which means you can get some pretty great hotel deals. In fact, you can often stay in 5 star all-inclusive resorts at an extremely great rate if you visit at this time of the year. You can also get some great deals on Maldives hotels if you visit in June or July, as most people enjoy summer at home and avoid visiting in these hot, humid months. Visiting at the perfect time depends entirely on what you are looking for. If you want sunshine, very little rain, and beach time, then your dream vacation to the Maldives will be between January and March. If lower rates, surfing, and catching a glimpse of some superb marine life is your idea of a dream vacation, visit in August, September, or October.